How can I obtain the Degree Certificate from bangalore university . Tell me the application procedure to get Degree Certificate from bangalore university . Is it possible to Degree Certificate from bangalore university in the PDF format? Hello sir, is there any one can provide me here application for Degree Certificate from Bangalore University? How to get Degree Certificate from Bangalore University? 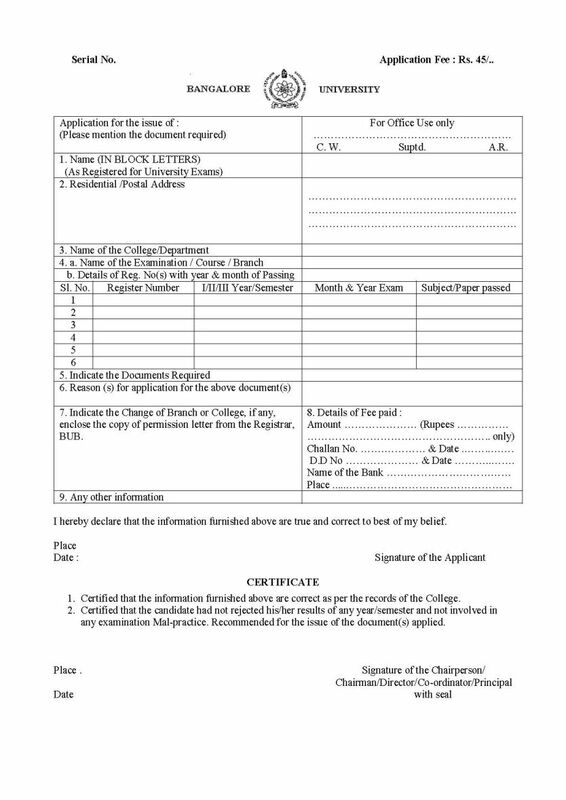 For get Degree Certificate from Bangalore University candidates need to fill application form. An application is provided by Bangalore University for Degree Certificate. Application Fee : Rs. 45/. Earlier, it would take students 15-20 days to obtain provisional degree certificates but after the implementation of the scheme it will take 2-3 days.